First of all, on behalf of MCD’s Committee, here’s wishing everyone a very Happy New Year and hope that 2017 will bring us all joy, peace, success, prosperity and good health! 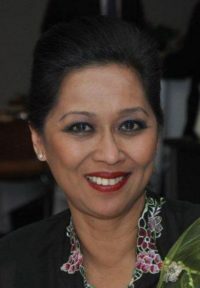 I would also like to take this opportunity to thank our MCD Patron, the Malaysian Consul General in Frankfurt, Dr Adina Kamarudin, who, since her arrival into Frankfurt in 2014, has delved herself into the Club activities, provided uncountable and valuable guidance and contributions, contacts and network, support that brought MCD to the forefront. She has exceeded in her role as Patron and become a steadfast friend and part of the family. We look forward to her continued support in the years to come. I would be remiss not to mention the very important and integral contributions and part of MCD, our beloved MCD Ambassador and Lifetime Honorary Member, Dato’ Chef Ismail Ahmad! Dato’ Chef has been our main contributor to our MCD Galas and Malaysian Food Promotions in Frankfurt since the last 10 years. His name is synonymous to our main events of the year, to the Marriott Frankfurt, to our Members and Friends, that stretched even across Europe! His ever charming, humble and bubbly personality, his outstanding culinary talents and most of all, his unlimited and overflowing love and friendship to everyone he meets has made him our “cannot do without” Brother in Frankfurt!! Thank you Chef, from the bottom of our hearts! Looking forward to see you again this year. 2016 may have been good for some of us, but also quite a roller coaster for some, with changes in the workplace and family lives. We have lost some friends and/or family members along the way. We pray for their souls to rest in peace. We have also made many new friends and new additions to families. Let us be thankful for that and treasure them. We look forward to a more joyous, peaceful, safe and successful 2017. This year also marks an important milestone for MCD, which is our 20 years Anniversary!! Obviously, we have already started groundwork planning for our “Event of the Year” to celebrate this momentous occasion. Stay tuned for more details and for other upcoming events, the next one being our Chinese New Year celebration on 29th January 2017. With that, I wish everyone Salam Sejahtera, Alles Gute and all the very best.